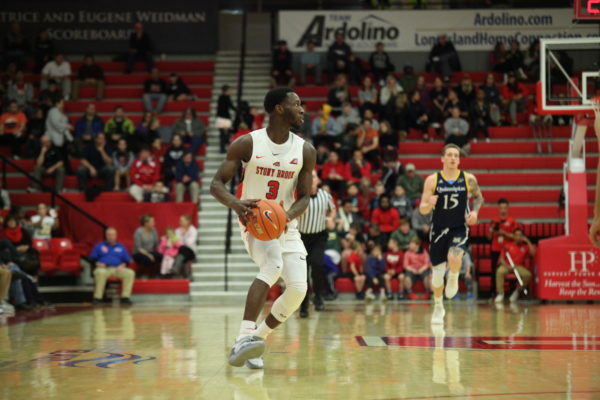 Oviasogie’s performance was the highlight of what was a tepidly average performance by both teams. 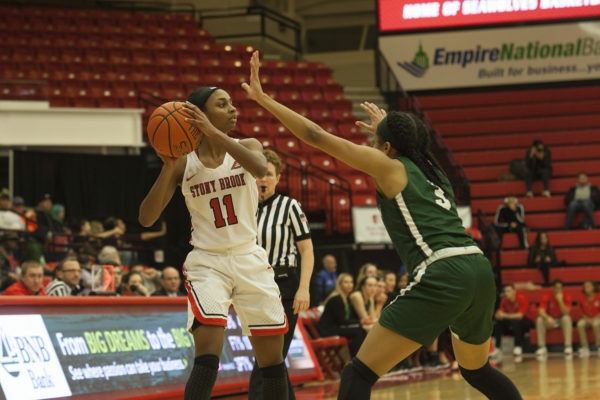 Senior guard Jerell Matthews flashed signs of hardwood superiority in her first game back from injury for the Stony Brook women’s basketball team on Wednesday, Jan. 23. 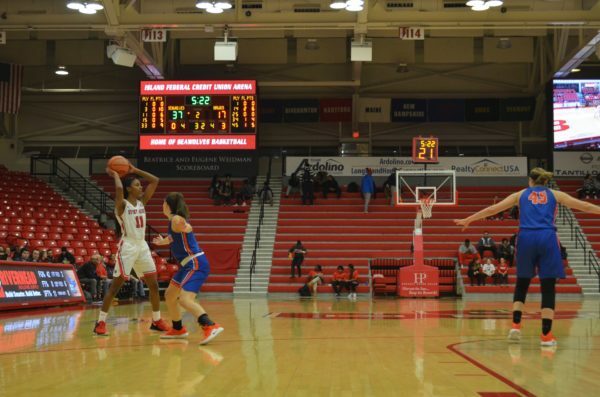 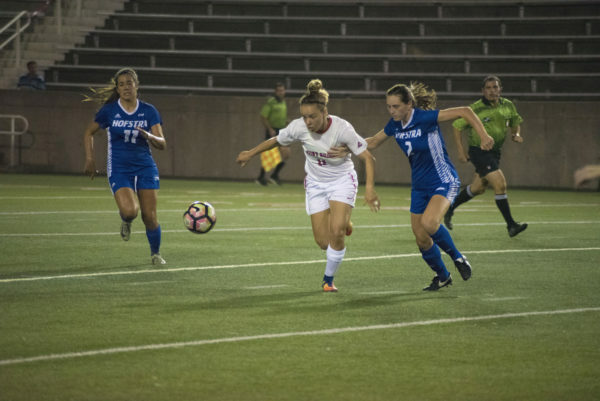 The Stony Brook women’s basketball team split its opening America East Conference matchups in two divergent performances. 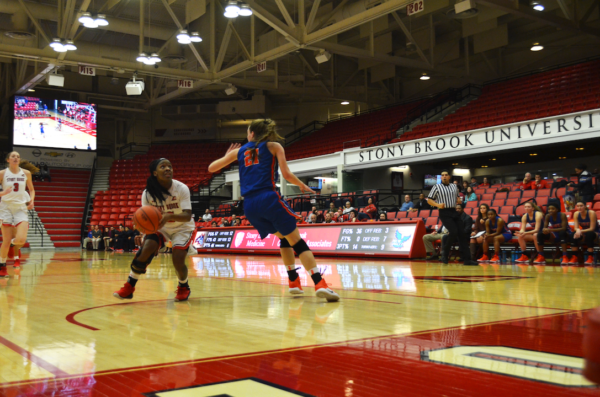 Stony Brook Women’s Basketball defeated the Fairleigh Dickinson Knights 63-49, extending its winning streak to eight games. 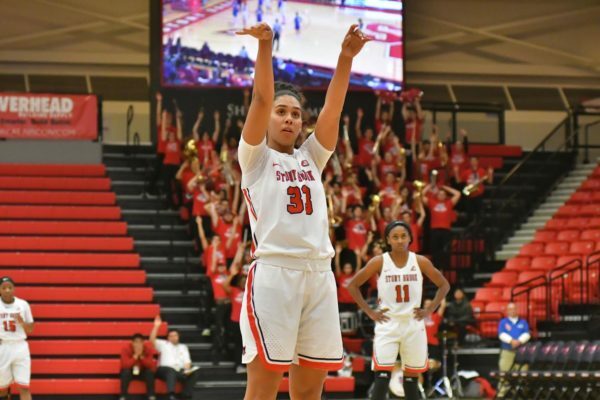 The Seawolves put their recent shooting struggles behind them and defeated the Pioneers 73-58, extending their winning streak to seven straight games. 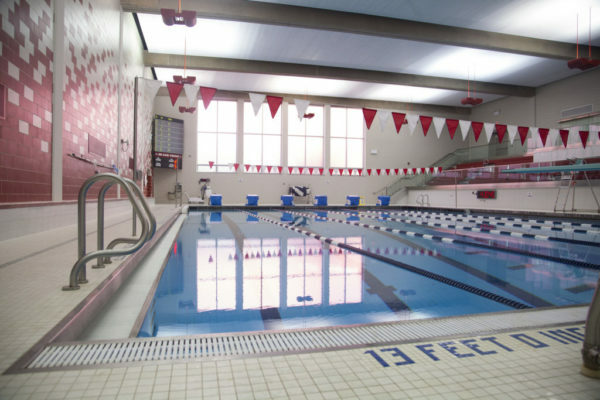 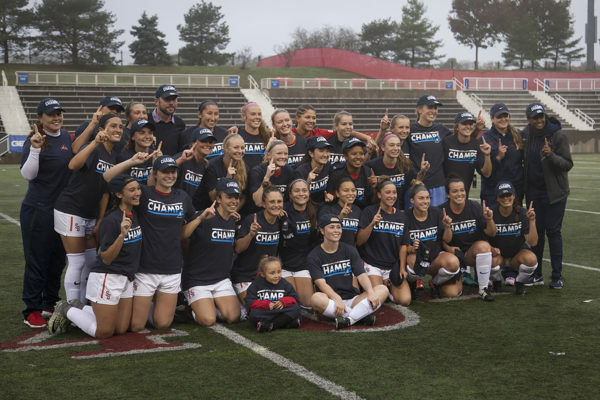 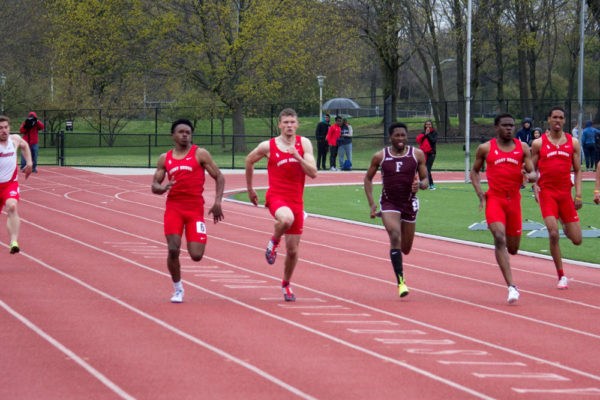 The Seawolves have already won 13 races, including their first home victory in over five years.